There’s no shortage of places to buy meat in Brixton and we cannot claim to have tried them all. We are also not great meat eaters, at least when eating at home. 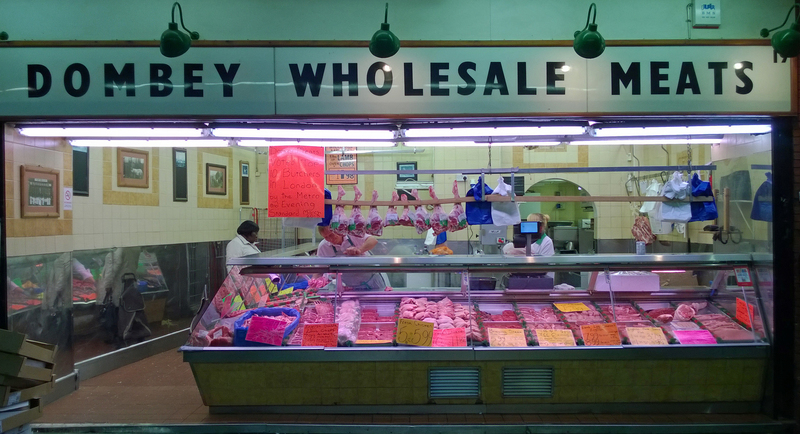 Nevertheless, it’s time we had a look at butchers in our series of reports on Brixton food shops. The trouble is that while there are lots of shops selling meat, there are not that many I consider proper butchers. Also when you see a secondhand supermarket trolley full of carcasses being wheeled down Atlantic Road it does make you think of being a vegetarian. But there are places I have found that can be relied upon to provide value for money. 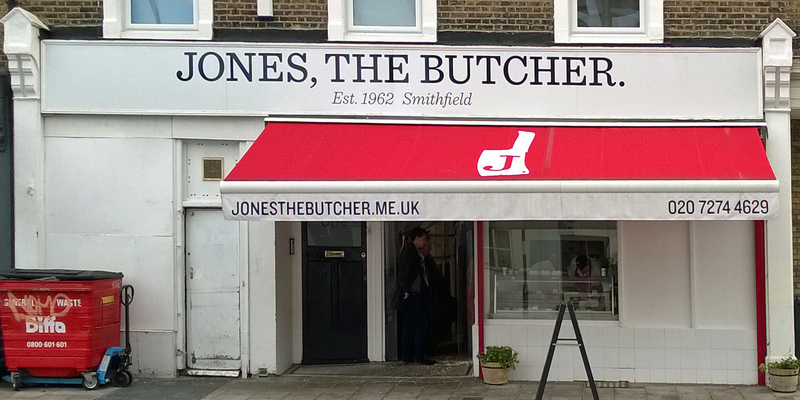 There is no doubt that the best high-end butcher in our area is Jones the Butcher at the Brixton Water Lane end of Dulwich Road. This is a proper old-fashioned shop that does much of its business with the trade, as demonstrated by the early hours it keeps. If you want a good selection you really need to get there well before the advertised closing times. They clearly take pride in what they offer for sale, including a selection of free range products. The prices are not the cheapest but I do think, that particularly with meat, there is a strong link between what you pay and what you get. So this is where I go if I want something special, such an aged beef rib for a Sunday roast. I paid £16 for enough to feed a hungry six, with some left over for a salad the next day. And it’s a pleasure to shop there, unlike the place I don’t care to name in Clapham, where I find the staff are as snooty as the customers. So it’s highly recommended. In the centre of Brixton I mostly buy my meat at Dombey and Son in Market Row. 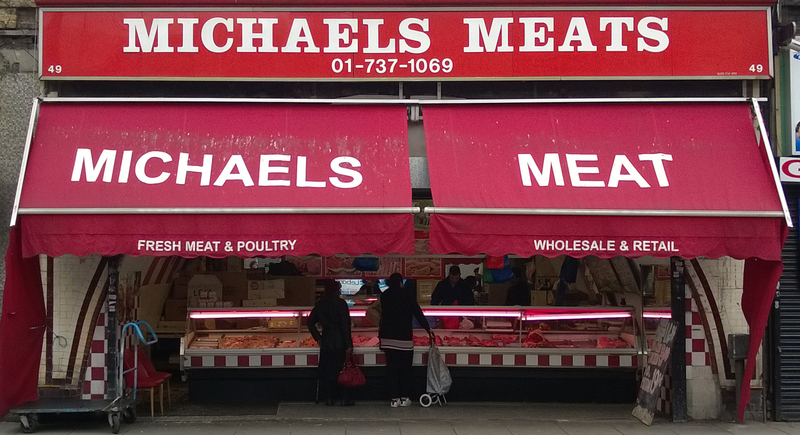 This is also a proper butcher and a market stalwart. One way of telling a long-standing business in Brixton is if they still keep early closing hours on a Wednesday. The staff are friendly and will go out of their way to be helpful. Their meat is good but more run of the mill and, hence, less expensive. I guess this is because it’s more competitive in the Market, with a different clientele. There’s also a smaller range of what’s available, with no obvious organic offering. Here I bought a shoulder of lamb for £10 to make the family favourite, lamb stew with aubergines from an Elizabeth David recipe. This makes plenty for two meals, although I wished I had asked the butcher to debone the meat. But what about all the other shops that sell meat? 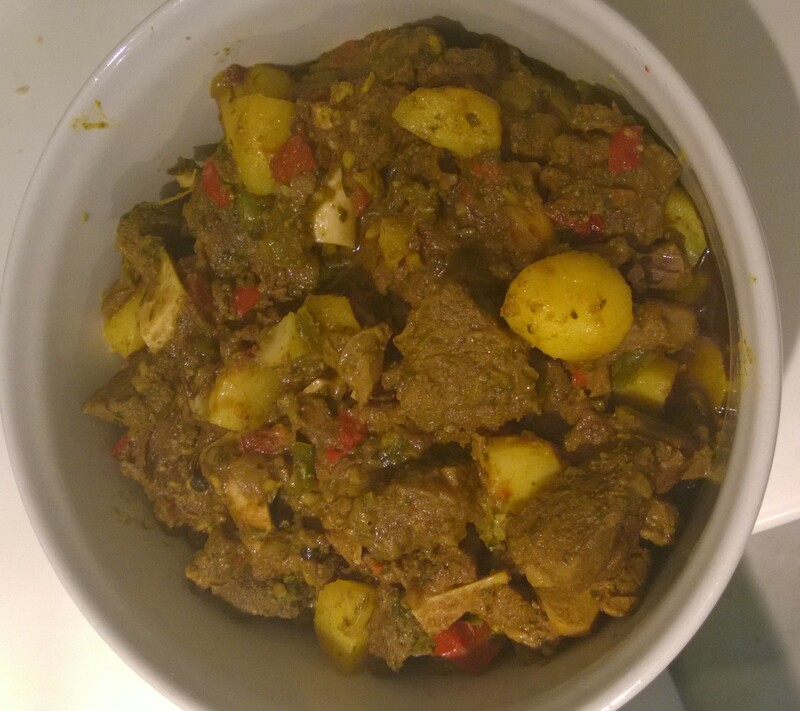 Many are clearly aimed at a West Indian market, so I decided to make Curry Goat. (Note. It’s most definitely Curry Goat. Goat Curry, even if it’s a thing, is something else.) But the choice of shop to buy the goat was perplexing. We’ve already looked at Cinco Quinas but that’s one of a kind. The rest, at least at first glance, look much the same. The dependable Miss South recommends PJ Horwoods in Brixton Village but I have used Michael’s Meat Market in Atlantic Road previously and this gets the endorsement of our Jamaican expert. £8 gets a 1.5 kg leg, which is plenty. The shop is happy to chop it up into 3cm-4cm pieces (definitely to be recommended), leaving the bones in place, which is all-important in terms of flavour. Please let us know if other shops are worth checking out. 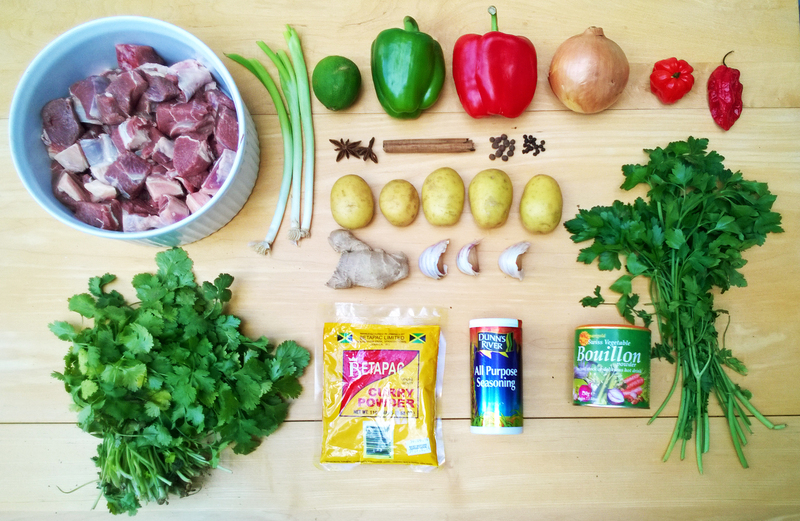 My recipe follows the one suggested by Levi Roots but with some additional spices. 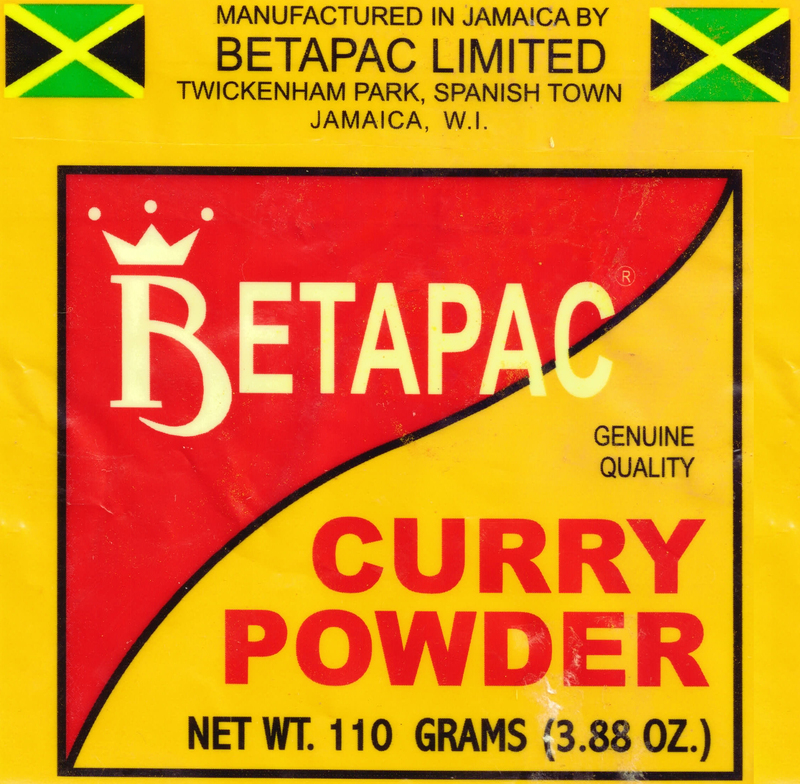 These are also recommended by our Jamaican expert, who insisted that I use Betapac curry powder. Now I have to own up to being a bit of an anorak when it comes to flavours in Indian food, so I had to overcome my prejudice in using readymade curry powder. But Curry Goat demands authentic Jamaican curry powder, even if the label doesn’t actually tell me what’s in it. According to Levi Roots the secret to Curry Goat is a long period of cooking where the meat is steamed and fried at the same time. The recipe is straightforward but it does take some advance planning as well as needing some attention while it’s cooking. It’s really the sort of food to cook on a day off. The ingredients, as usual, were all bought in Brixton. For six people or more, you need 1.5lg of cubed leg of goat, juice of 1 lime; 2 tbsp of curry powder; 2 tbsp of all-purpose seasoning; some vegetable oil; 500ml of vegetable stock; 1 onion roughly chopped; 50gm of root ginger finely chopped; 1 Scotch bonnet chilli, finely chopped; 3 garlic cloves, finely chopped; 2 star anise; cinnamon stick; 10 allspice berries; 1 red pepper, diced; 1 green pepper diced; green tops of 3 spring onions, sliced; 2 tbsp chopped parsley; 2 tbsp chopped coriander; and 5 small waxy potatoes, peeled and quartered. The first step is to marinate the meat in the lime juice, curry powder and seasoning, preferably overnight, but for at least four hours. You should rub it into the meat and give it an occasional stir. 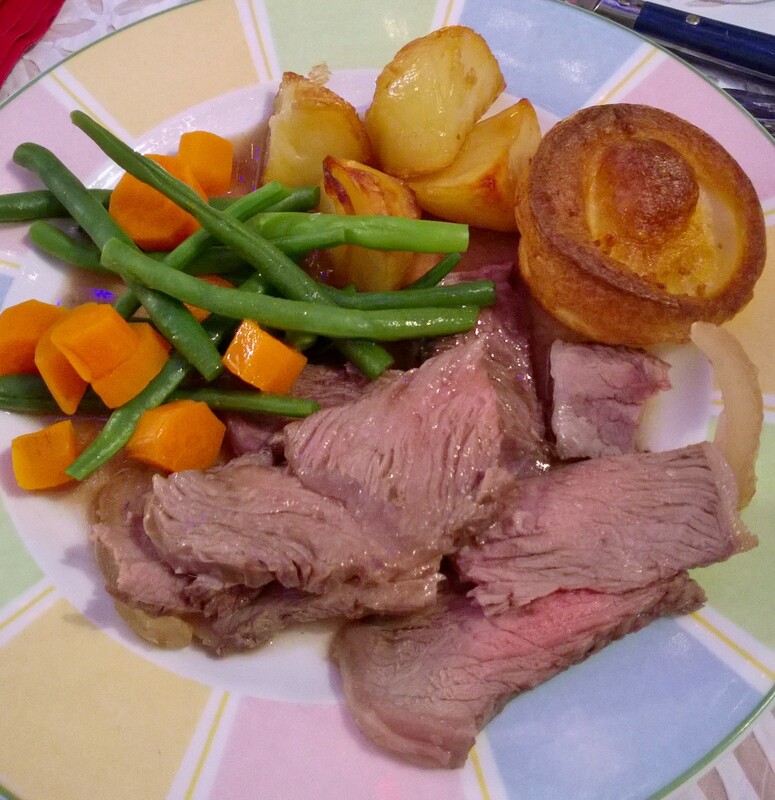 Then the crucial bit – heat the oil in a large casserole on the hob until it is really hot, just on the verge of smoking, and then add the meat. Stir until the meat is all covered in oil and then turn the heat down. Add nothing else at this stage – it will render its own juices – but cover and cook it gently for half an hour. Then start adding the stock a bit at a time, when it’s needed to keep the meat moist but not submerged. Keep going like this for a couple of hours. At this point you add any remaining stock plus all the other ingredients, apart from the potatoes, and keep cooking gently for another couple of hours, adding water if necessary to keep it moist. About 20 minutes before the end add the potatoes. And then it’s done. Serve it with boiled rice and some spinach.